Have you started to worry about wrinkles appearing around your eyes or your skin getting dull and dry? Have you been trying to restore your glow? It can be difficult to keep our skin looking youthful especially with so many products to choose from. Here are a few products GM Collin Luxury Skincare that will help you restore your shine and have you glowing. G.M. 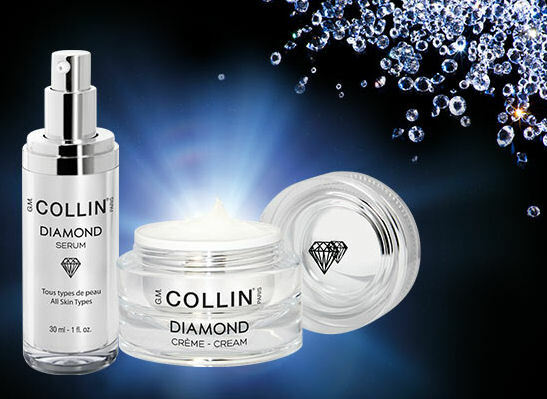 Collin Diamond Cream is an anti-aging cream designed for all skin types to improve skin’s texture, elasticity, firmness and the visibility of fine lines creating an overall more youthful appearance. With key ingredients such as Diamond peptide that helps delay the visible signs of aging and Hexapeptide which visibly improves the skin’s elasticity and firmness this formula is one of a kind. After several applications of using daily our MyTopFace expert noticed her was skin was looking much brighter, clearer and healthier. Use the Diamond Cream in the morning to get your day off to a great start! Keep your skin aging more gracefully by keeping Diamond Cream part of your daily beauty routine. G.M. 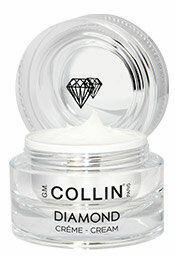 Collin Diamond Serum is an anti-aging serum made for all skin types that takes years off of your skin. It contains cutting edge key ingredients such as Photo luminescent Diamond Powder that instantly increases the skin’s radiance, Diamond Peptide which helps prevent the visible signs of aging and Snow Algae which rejuvenates the skin. This luxury formula will protect you from environmental stressor, improves your skin’s elasticity and firmness and often the look of wrinkles. This elegant cream goes on silky smooth and leaves your skin feeling flawless. Since it is not too heavy or oily it can be applied both morning and night. The cream takes a few minutes to dry so leave time to let it fully absorb before applying makeup. When your skin is prepared and hydrated you can apply makeup and get some great advice with our many helpful and unique makeup tutorials. G.M. 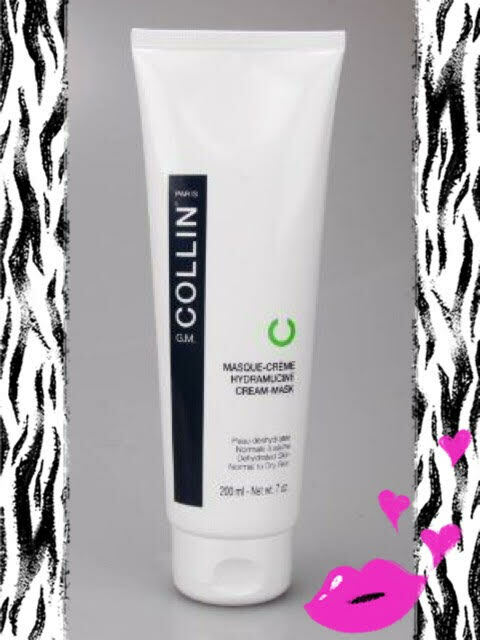 Collin Hydramucine Cream-Mask is just what you need for your dry winter skin. This velvety formula is designed specifically for those with normal to dry or dehydrated skin as it provides intense hydration and moisture resulting in smooth skin and a brighter complexion. Delight both your face and neck in the incredible benefits of this scientific innovation. While using the cream-mask our expert’s skin felt infused with hydration as it was being soaked with its efficacious ingredients. Not only did it feel like a day at the spa using it the product had a lasting effect as it kept our experts skin nourished throughout the entire day. This is a great go-to product for when your skin needs that extra surge of hydration. Little time or work and phenomenal results! Maintaining a beauty routine with any one of these G.M. Collins products will restore your natural beauty. When you look great, you feel great! Here are some other products our Mytopface expert recommends to help you feeling great! All of the featured G.M Collins products are sold exclusively at G.M. Collin spas.